Featured Soundtrack: Carlos Pes & Peppino De Luca’s ‘Dorian Gray’ (1970) | El diabolik's World of Psychotronic Soundtracks. Born in Rome, 1936, Peppino De Luca began his career composing for TV, credited in 1963 with RAI’s ‘L’enigma Oppenhemier’ (1963). His first feature film was Liliana Cavani’s ‘Francesco d’Assisi’ (1966) starring Lou Castel, a loose retelling of the life of Saint Francis of Assisi, but with a radical sixties setting. Cavani would later come to international attention with ‘The Night Porter‘ (1974). In 1968 De Luca scored Mario Monicelli’s UK set commedia all’italiana, ‘La ragazza con la pistola’ (The Girl with the Pistol), starring Monica Vitti, Stanley Baker and a host of familiar British character actors (Including Anthony Booth as a local boyish rugby fan). 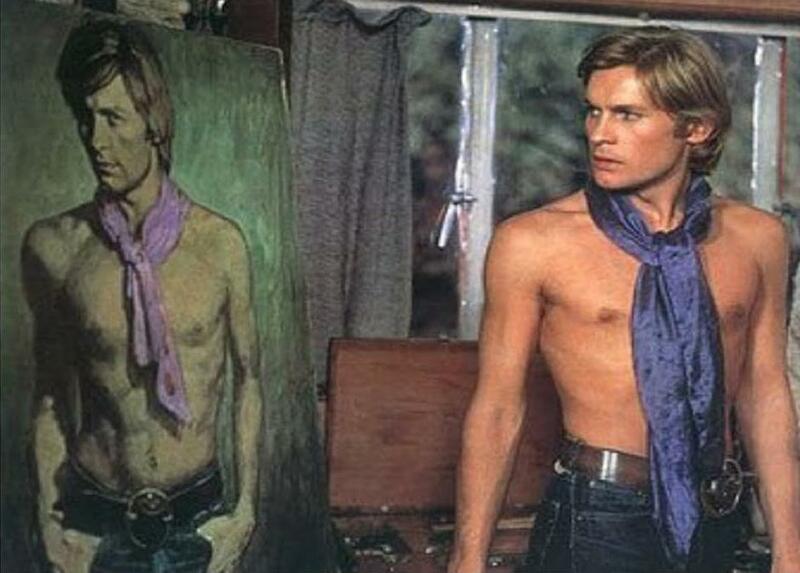 In 1970 De Luca scored ‘The Secret of Dorian Gray’. The soundtrack is typical of Italian film scores of the late ‘60s and early ‘70s, a mixture of strings, haunting vocals, beautiful melodies and contemporary ‘beat’ sounds. The funkier ‘beat’ elements of Dorian Gray can in part be attributed to I Marc 4 guitarist Carlo Pes. Pes and De Luca had previously worked together on Mino Guerrini’s ‘Oh dolci baci e languide carezze’ (1969). I Marc 4 were a four-piece beat rock fusion group for hire, used by many Italian film composers in the ‘60s and ‘70s when looking for that authentic ‘beat group’ sound. The Choir heard in the film is ‘I Cantori Moderni di Alessandroni’, formed by Alessandro Alessandroni, composer of psychotronic sleaze classics such as ‘Any Gun Can Play’, ‘The Devil’s Nightmare’, ‘Lady Frankenstein’ and ‘SS Extermination Camp’. Before becoming a composer in his own right, Alessandroni could be heard on a number of spaghetti western soundtracks – conducting choirs, singing, playing guitar and whistling – that’s him whistling and twanging the guitar on Leone’s ‘For a Few Dollars More’. The familiar sounding female vocal is that of Edda dell’Orso, best known for her beautiful, haunting work for countless Ennio Morricone scores. The music for ‘Dorian Gray’ originally featured on a CAM 9 series library LP from 1969, with a limited run of 500 copies. CAM LP’s were given out to film and TV production companies for potential use on future film and TV shows. Some of the ‘Dorian Gray’ score can be heard in Georges Franju’s ‘Nuits rouges’ (1974). The film’s music is credited to Franju – meaning he chose all the music from pre-recorded library records. 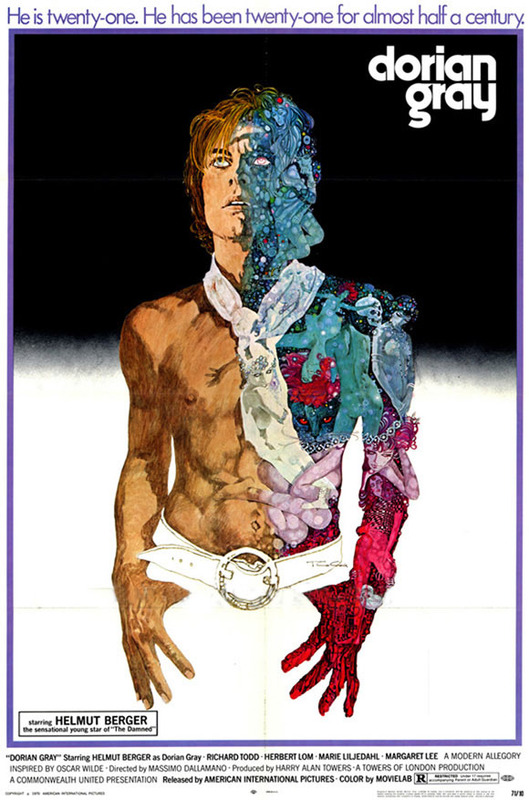 After Dorian Gray, De Luca scored five more films, including Franco Prosperi’s ‘The Conjugal Debt’ (1970) and Alberto De Martino’s ‘The Man with Icy Eyes’ (1971) before his premature death in September 1974, aged just 38.